The other day we opened our inbox to find a very nice letter from Essay Fiesta alum Mary Wagner. The author of Running with Stilettos and Heck on Heels had sent a mass e-mail to her Chicago writer’s group. With her permission, we’re posting some of the letter here. It’s a great testament to the amazing writing talent that Chicago has to offer. Also, other writers take note: Essay Fiesta is a showcase you most certainly want in on. Just click on “Contact Us” to learn how to become involved. [W]ords can barely express how terrific these “Essay Fiestas” are, not just a participant (I’ve had the privilege of reading there twice and if you doubt what a sea change that was for me, you should talk to my law school classmates who used to see me hyperventilate at public speaking! ), but as a member of the audience. 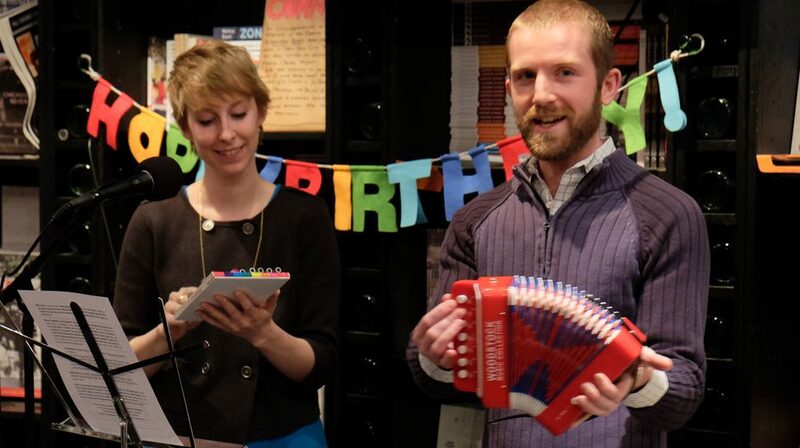 The basic format is that six or seven people get up and read stuff they wrote–mostly about their individual lives–to an audience of forty or fifty people crammed into the cozy Book Cellar Book Store on Lincoln Avenue. But that sounds like too entirely dry of a description to do justice to the dynamic. It’s an incredibly gifted group of young writers/artists/performers they have getting up there and putting their lives on display, and the life they put in their words absolutely sparkles. It is not overstating things to say that one speaker after another has consistently been SPELLBINDING!! Some stories are laugh-out-loud funny, some are poignant, some are ironic, and frequently the essays are all three. When the audience isn’t laughing, you can hear a pin drop.